Hernia Mesh - surgtechs Webseite! 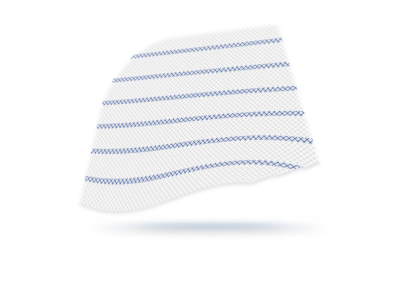 Chevron Mesh by Dr. Klaiber is constructed of knitted polypropylene monofilament. The knit construction allows the mesh to be stretched in both directions, to accommodate and reinforce tissue defects. The mesh is indicated to reinforce soft tissue where weakness exists - repair of hernias and chest wall defects.